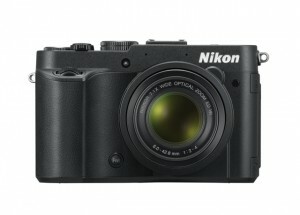 No big surprises today - few hours ago Nikon announced three new Coolpix cameras: P7700 ($499), S800c ($349) and S01 ($180). The Coolpix S6400 was also announced, but I believe it will be available only outside the US. MELVILLE, N.Y. – For the compact camera user only satisfied with the very best, today Nikon Inc. introduced its new flagship COOLPIX camera, the P7700. This powerful and versatile point-and-shoot camera features a sharp 7.1x zoom NIKKOR ED glass lens with a maximum aperture of f/2 and a 12.2-megapixel CMOS sensor. Conveniently compact and loaded with innovative features and manual controls, the COOLPIX P7700 will capture still images and Full HD 1080p video with stunning sharpness and vivid color, whether used as the ultimate go-to travel camera or D-SLR companion. The COOLPIX P7700 is ideal for those looking for a compact camera with high performance and a complete feature set which will allow them to capture high quality still photos and Full HD video. For photographers looking to step up from traditional point-and-shoot cameras to professionals who crave complete creative control, the P7700 offers one of the most comprehensive feature sets available in its class. Featuring a new 12.2-megapixel CMOS sensor, a high-performance NIKKOR lens and full manual control settings, Nikon’s new flagship COOLPIX camera can unleash a photographer’s inner creativity and inspire truly magnificent images. The COOLPIX P7700 sports a large 1/1.7-in 12.2-megapixel backside illumination (BSI) CMOS sensor that offers excellent tonal range and vivid color reproduction. Additionally, high-speed image processing helps achieve fast continuous shooting at approximately eight frames-per-second (up to six continuous shots) affording the ability to freeze a fleeting moment with exacting precision. The P7700 delivers extremely rapid performance from a quick startup time to lightning-fast autofocus recognition to help ensure the moment is captured. The P7700’s high-performance 7.1x zoom f/2 NIKKOR glass lens is equally as essential in providing the very best clarity and sharpness that professional photographers have come to expect from Nikon. With a large maximum aperture of f/2, the optics cover an equivalent range from 28 to 200mm, allowing for tack-sharp images and HD video throughout the entire focal range. An evolved Lens-Shift Vibration Reduction (VR) function minimizes camera shake for shooting blur-free photos while handheld or in challenging light. Combined with the COOLPIX P7700’s powerful CMOS sensor, this bright, large-aperture NIKKOR lens provides reduced noise, beautiful background blurring, fast performance and high image quality whether shooting stills or Full HD video. Every photo and HD video is truly in the hands of the photographer, as the P7700 offers unprecedented creative control for its class, from easy automatic options to full manual controls. For even more control in users’ images, the COOLPIX P7700 supports RAW shooting, providing the ability to capture and edit uncompressed images without losing image quality. Customizing every shot has never been easier as Nikon’s flagship COOLPIX camera features full manual control (PSAM) and 19 unique and versatile Scene Modes and Scene Auto Selector, ready for any shooting scenario. In-camera special effects and filter effects such as Nostalgic Sepia, Vivid and Painting help satisfy amateurs and enthusiasts alike. 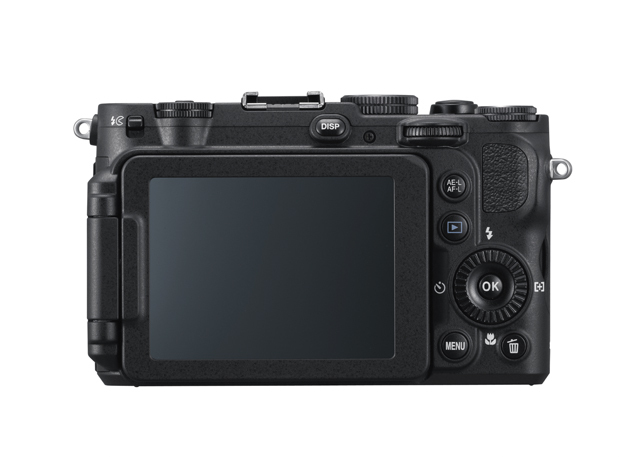 With the P7700, features like a noise reduction filter, tone level information, COOLPIX Picture Control and versatile bracketing functions open the door for even more creative control and freedom when capturing still images. To capture the most amount of available light, users can also activate consecutive shot combining technology, or use the HDR effect for a wide dynamic range image. Creativity continues beyond still images with stunning Full HD 1080p video capability combined with unprecedented movie customization options for its class. Capture HD video using Auto, Manual, Aperture-priority or Custom Movie Mode and enjoy several creative options also available for still shooting, including COOLPIX Picture Control and noise reduction while flexibly adjusting ISO sensitivity, shutter speed and white balance. Taking HD video to the next level, the COOLPIX P7700 is capable of intelligent autofocus while recording in any mode as well as optical zoom when shooting in Auto mode. For pristine stereo sound, the P7700 incorporates a built-in stereo microphone, an external microphone input, a HDMI mini connector and HDMI-CEC support. The P7700’s 3-inch vari-angle LCD monitor, with a wide-viewing-angle and 921,000-dot resolution, offers comfortable shooting from any angle, giving the freedom and flexibility needed to capture every spontaneous moment. Whether shooting videos overhead at a concert or inverting the screen to capture a creative self-portrait, the vari-angle LCD of the P7700 provides users the ability to rotate the screen to adapt to any shooting scenario. 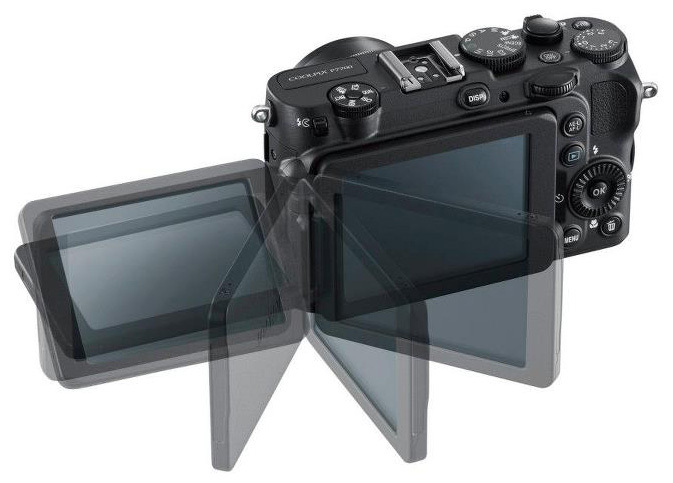 The LCD screen can also be flipped closed for protection when not in use. Furthermore, the COOLPIX P7700’s intuitive ergonomics and control system allows the user to easily access menus and manual controls, ensuring fluid operation. This lightweight point-and-shoot features quick menu, mode, exposure compensation and sub-command dials, all arranged to achieve natural and smooth shooting adjustments on the go. 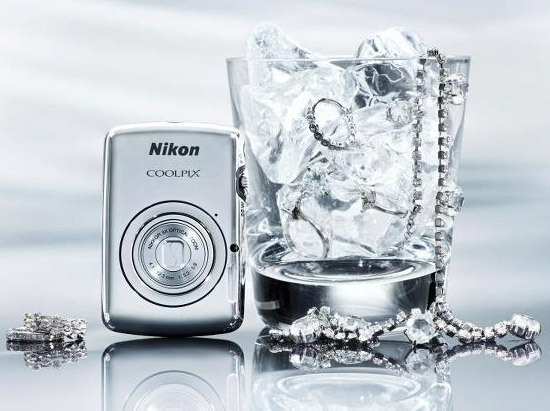 Additionally, the COOLPIX P7700 has a camera body composed of durable yet lightweight magnesium alloy. 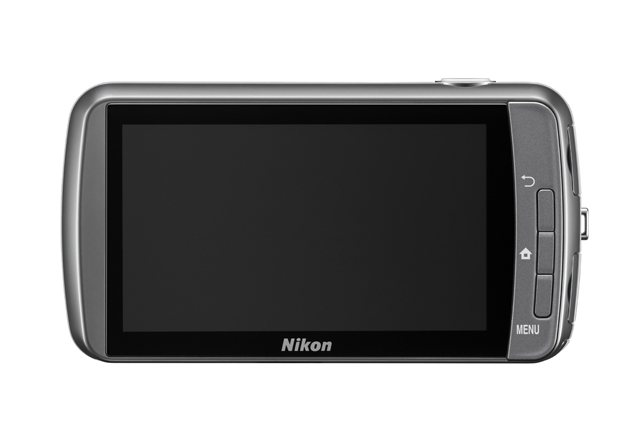 The COOLPIX P7700 offers compatibility with several optional Nikon accessories for enthusiasts who demand versatility and first-class performance. Nikon’s Creative Lighting System (CLS) supports advanced wireless lighting and creative flash shooting by controlling flash output independently for a master unit and a remote unit group. The P7700’s hot shoe allows for compatibility with Nikon Speedlights (SB-910 and SB-700) as well as the GP-1 GPS unit and ME-1 external stereo microphone. The COOLPIX P7700 will be available in September 2012 for a suggested retail price (SRP) of $499.95*. 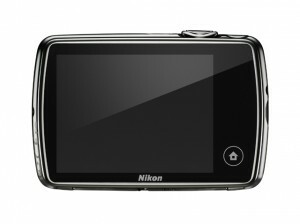 For more information about this COOLPIX camera and other Nikon products, please visit www.nikonusa.com. MELVILLE, N.Y. – Today, Nikon Inc. announced the innovative COOLPIX S800c, Nikon’s first Wi-Fi compact digital camera to incorporate Nikon’s powerful camera imaging technologies and the boundless capabilities of an Android Operating System (OS). Designed for the always connected individual, the S800c delivers the high picture quality and superior performance expected from a Nikon camera coupled with communication functions and app-based versatility of a smartphone or tablet. The new S800c answers the call for users who need the ability to capture photos and HD video with amazing clarity and color, yet offers a familiar portal to connect to social networks and popular imaging applications through an Android Operating System. With the introduction of the S800c, beautiful images can now be confidently and quickly shared with friends and family. Optical 10x Zoom NIKKOR Lens: covering from wide-angle 25-250mm, so either the largest group or action from afar is captured with clarity that can only be accomplished with a quality lens. Additionally, the lens is bolstered with Nikon’s VR optical image stabilization for blur-free photos and stable HD video, even while handheld. 16 Megapixel Backside Illuminated (BSI) CMOS Sensor: Much larger than the CCD sensor traditionally found in smartphones or tablets, this BSI CMOS sensor excels in challenging lighting conditions, and provides images with vivid colors, low noise and exceptional contrast and sharpness. Powered by Android: The camera’s connection features allow users to seamlessly connect, browse and upload to their social networks, including Google+™, Facebook and Twitter. Users can also take advantage of the full functionality of Android technology to surf the web or even download applications and games onto their S800c. Just like a smartphone or tablet device, the camera has the opportunity to run camera-specific photo and video applications, yet enables the various benefits of shooting with a real camera. Google Play™: The S800c provides access to a vast world of applications for games, productivity and personal communication/ email, including Nikon’s photo storage and sharing site, my Picturetown®. Users are also able to watch video downloaded from Google Play right on their camera. The Benefits of COOLPIX Camera Technology: With the EXPEED C2 processing engine, users will enjoy rapid response and speedy performance from their device. Additional benefits include the ability to use a camera flash to illuminate subjects, while continuous drive mode captures up to approximately 8 frames-per-second (up to three shots) to help ensure no moment will be missed. What’s more, a variety of scene modes and creative filters keep it fresh and let the user easily create stunning images. Full HD Video: The S800c makes it easy to capture Full HD 1080p HD video with amazing fidelity and sharpness, with full stereo sound. Video clips can be instantly uploaded to popular video sites such as YouTube™ and Vimeo®. Built in GPS: Ever wanted to track a weekend excursion or geo-tag a hard to find shooting spot? The GPS function enables recording of shooting location information on stills and movies. Smartphone and tablet users will feel at home with the S800c’s familiar controls and operation, and will be able to easily navigate using the wide and bright 3.5-inch touchscreen OLED monitor. The camera will connect to the internet via granted access to any Wi-Fi network. Upon connection, the user will be prompted through an easy-to-understand set-up process, similar to that of other Android devices. 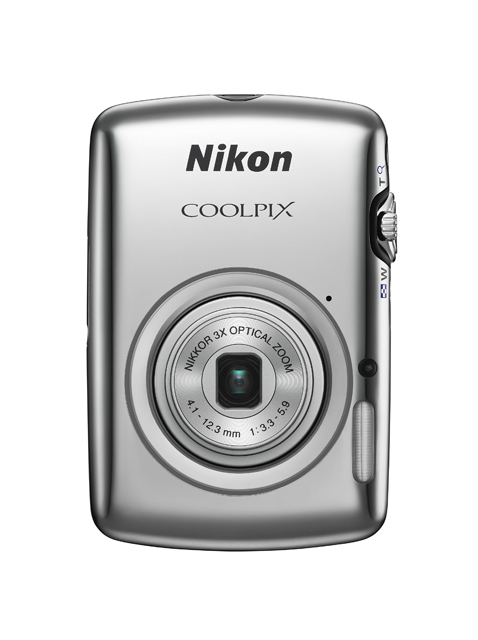 The COOLPIX S800c also has the ability to connect through WPS for a fast and secure push-button connection. Additionally, when a Wi-Fi connection is not open or available, the camera can transmit images and videos wirelessly to a smartphone or tablet, allowing the user to share better images through a mobile network. COOLPIX core technologies also make it easy for users to create share-worthy images. Various camera modes help the user achieve the greatest shot, whether it’s a macro shot of tonight’s cuisine or a scenic HDR shot of downtown, the image is instantly ready to share. For maximum creativity, the S800c has 18 filter effects, including the new Toy Camera effect, Pop and Super Vivid color filters, as well as Cross Process and Peripheral Darkening filters. The S800c will be available in September 2012 in both White and Black for a suggested retail price (SRP) of $349.95*. 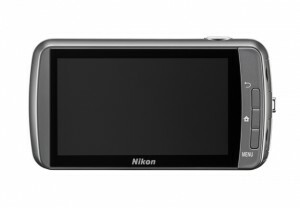 For more information about this COOLPIX camera, or other Nikon products, please visit www.nikonusa.com. 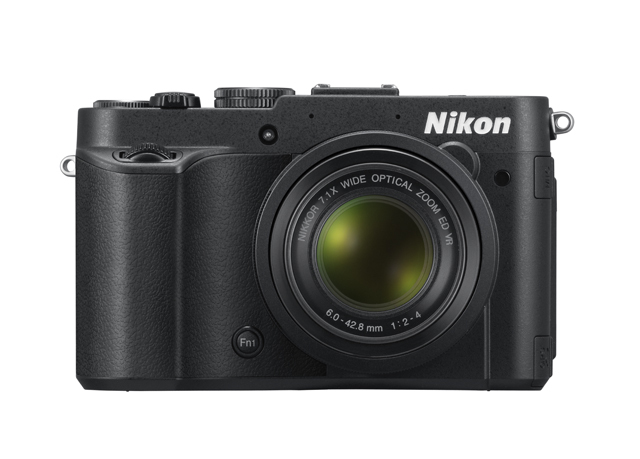 MELVILLE, N.Y. – Today, Nikon Inc. announced the new COOLPIX S01, an ultra-compact camera that combines Nikon imaging technology, style and affordability into an ultra-mini camera body that’s easy to use. Its compact size makes the camera small enough to fit into a user’s pocket, so they can take it with them anywhere, whether spending a day on-the-go or a night out on the town. The new COOLPIX S01’s attractive, beautiful styling screams to be seen and encourages users to carry it everywhere because of its small size. The S01 features a simple home screen and user interface with shortcut menus for quick operation to make it easy to capture incredible images and flattering portraits. The COOLPIX S01 packs great image quality into an ultra-compact and stylish camera body, allowing users to be ready for fun and spontaneous shooting. Weighing approximately 3.4 ounces with an extremely small form factor (3.1 x 2.1 x 0.7 in. ), the S01 is a versatile point-and-shoot that easily slips right into any user’s pocket. Stainless construction and processing prevents the glossy exterior from being scratched, while individual colors, such as Red, White, Silver and Pink, accent the fun and social personality of the user. 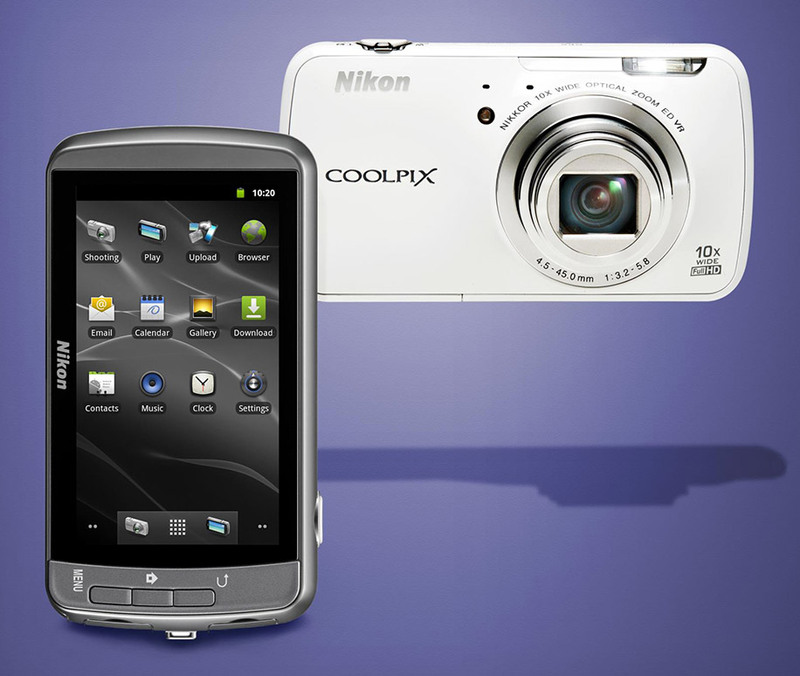 The COOLPIX S01 also features an easy-to-use touch-screen operation system. The new graphic user interface (GUI) offers an easy-to-tap four-segment home screen that streamlines operation. 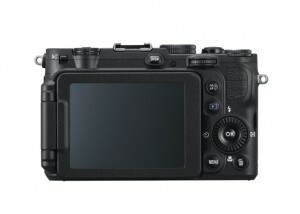 Even for first-time point-and-shoot users, various functions can be comfortably accessed through touch operation. By tapping a subject, the shutter is automatically released when focus and exposure are fixed while various image effects set prior to shooting can be applied to pictures. Additionally, simple in-camera retouching of photos can help the user relive their perfect memory. Easy Auto Mode helps users to reliably capture beautiful pictures with the COOLPIX S01. By simply framing the subject, the optimal scene mode and exposure are automatically selected according to the unique shooting situation. The user can rely on the camera’s auto operation even for night portraits or backlit subjects to enable smooth shooting in any scenario. Six applicable scene modes such as portrait, landscape, night portrait, night landscape, close-up and backlighting help the user flatter subjects in nearly any light. Despite its tiny size, the camera benefits from quality NIKKOR optics, sporting a 3X wide-angle zoom NIKKOR lens (29 to 87mm, 35mm equivalent). A high-speed and accurate EXPEED C2 image-processing allows for fast use, but also yields vibrant colors and even skin tones in images. Additionally, a built-in Xenon flash ensures balanced exposures in low light conditions. 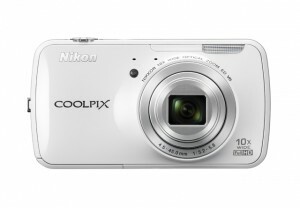 The COOLPIX S01 will be available in September 2012 for a suggested retail price (SRP) of $179.95* in a variety of colors including Red, White, Silver and Pink. 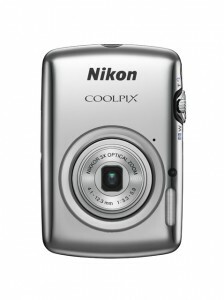 For more information about this COOLPIX camera and other Nikon products, please visit www.nikonusa.com. This entry was posted in Nikon Point and Shoot and tagged Android, Nikon P7700. Bookmark the permalink. Trackbacks are closed, but you can post a comment.